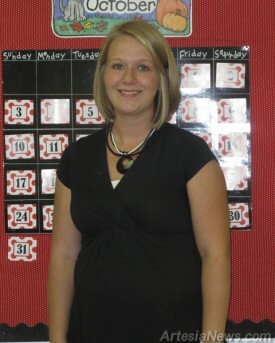 Central school has welcomed a new teacher for the 2010-11 school year. Kaci Whitmire joined Artesia Public Schools as a second grade educator. Whitmire, an Artesia native, is not completely new to the elementary school. She completed her student teaching at Central after finishing her degree from Lubbock Christian University (LCU) in 2008. Whitmire graduated from Artesia High School in 2002 and moved to Lubbock to begin her college education. She decided on a teaching career before she ever walked across the stage to receive her high school diploma. … For the rest of the story, subscribe in print and on the web.